What Rev Triggers and Actions are Supported? New Transcript - Triggers when a new transcript is delivered. New Caption - Triggers when a new caption is delivered. New Order - Triggers when a new order is placed. Create Caption Order - Place a new caption order with Rev. Create Transcription Order - Place a new transcription order with Rev. 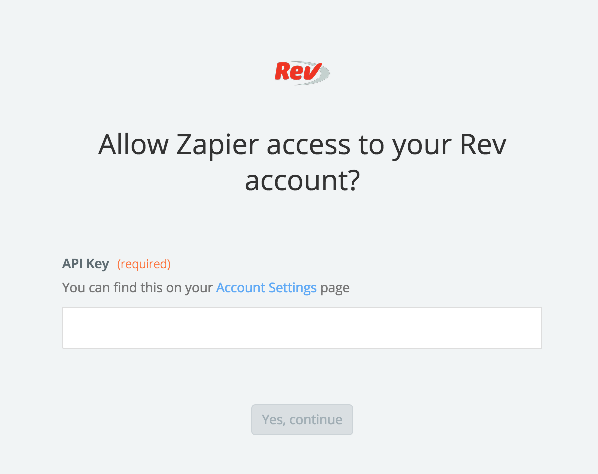 Once you've entered the correct API key details, the pop-up would disappear and you will see the Rev account added to your Zapier account and is ready for selection. 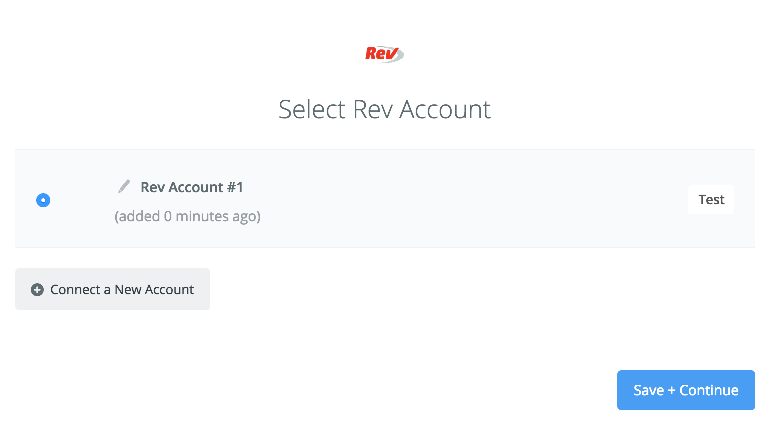 This error may happen if the field from the trigger that you connected to the Media URL input of the Rev action is not publicly accessible (eg requires authentication). 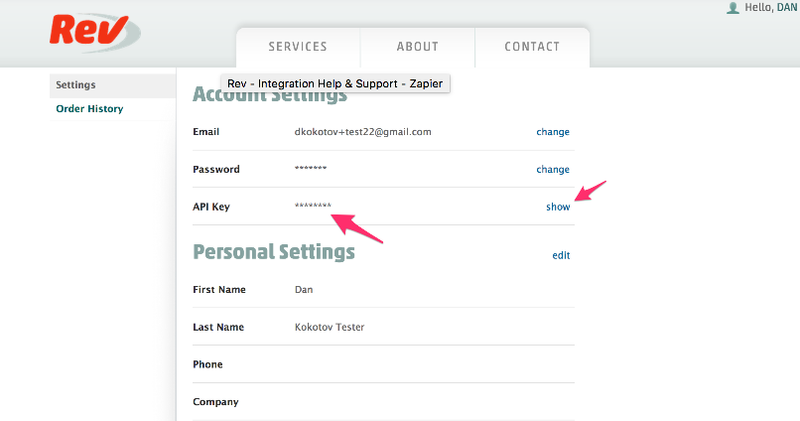 You must connect a publicly accessible URL or a File field from the trigger to this action input field.